Hello everyone, my name is Nelson Queralta Jr, I’m an automotive and motor sports photographer based out of sunny South Florida. I’ve been covering drifting culture for the past seven and a half years; everything from grassroots events to the big pros at Formula D.
It’s now mid-2013 and drifting has undeniably become a worldwide motorsport. 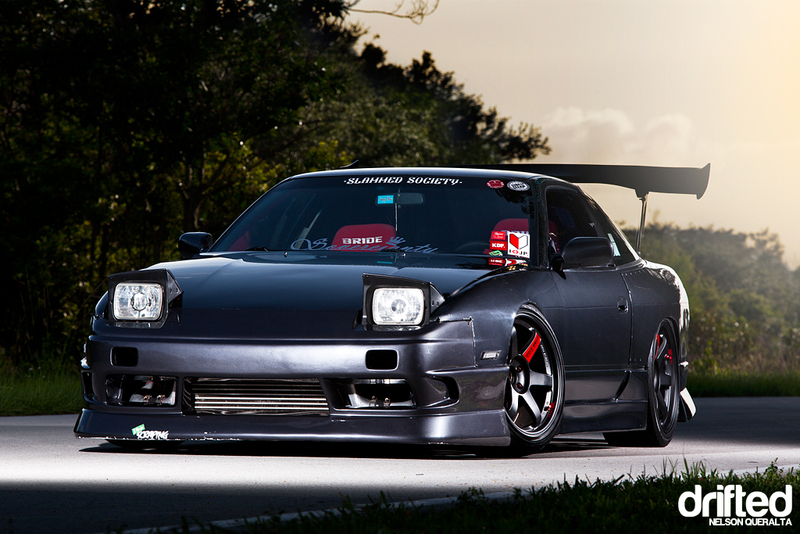 The very popular Nissan s13 chassis with it’s front engine RWD layout is one of the most owned and sought after drift platforms. 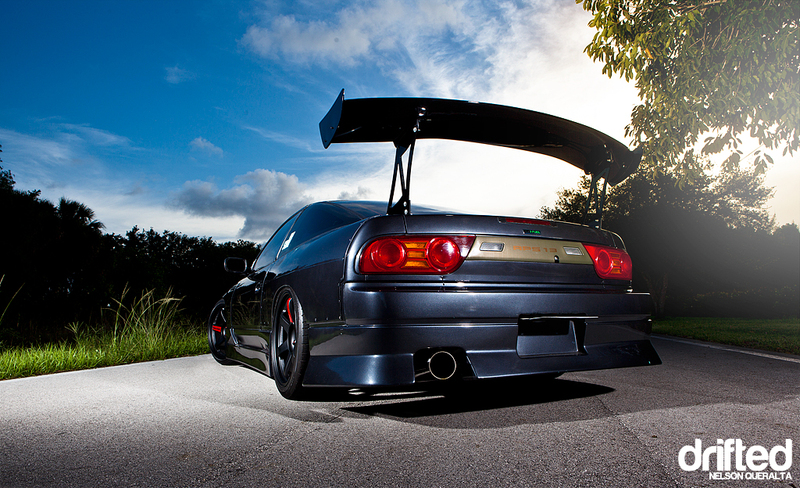 It is a car that has withstood the test of time and lived up to it’s full potential in all forms of racing. Of course that comes at a price and unfortunately there’s not much you can throw at an S13 on this day and age in forms of innovation. Well, I’m here to say that you might not have to; there is a formula to follow when building a good looking and functional S13, and this particular hatchback we see gracing the pages of Drifted executed this formula perfectly. 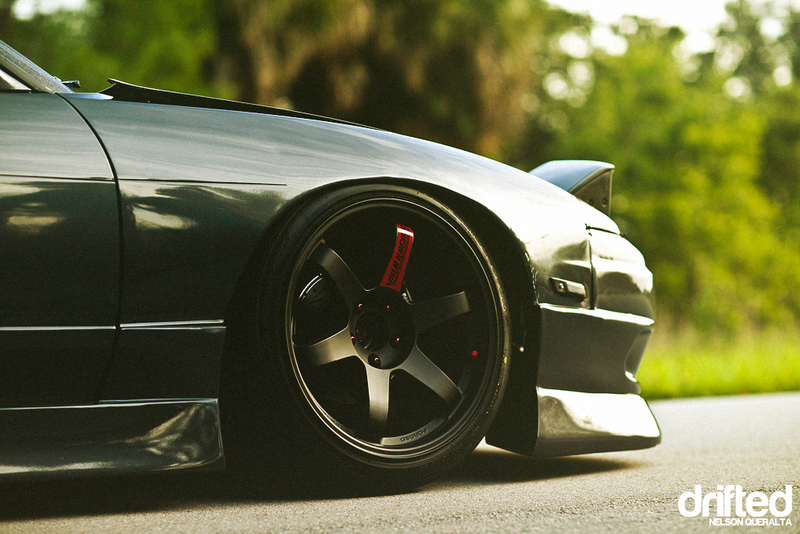 Let’s start with the wheels, Rays Engineering TE37SL. First of all I’ll be completely honest, I’m biased when it comes to TEs; they are my favorite wheel of all time. But, they can’t be pulled off on just any car, I’ve seen bad examples in the past. 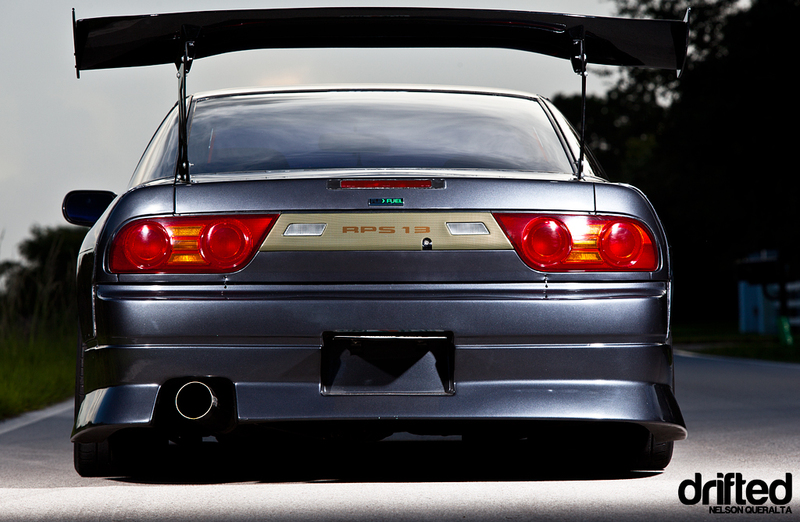 When it comes to S13s though, be it a coupe or hatchback, TE37s look right at home. Now comes execution, and the wheel sizing is perfect for form and function, at 18×9.5 +22 all around. That brings me to aesthetics. Now, I don’t want this to become and “Real VS Rep” debate; the owner of this car decided to go with a BN Sports Type II replica front bumper, with real Chargespeed side skirts and a Vertex rep rear bumper, along with 30MM rear over fenders and a Big Country Labs wing. 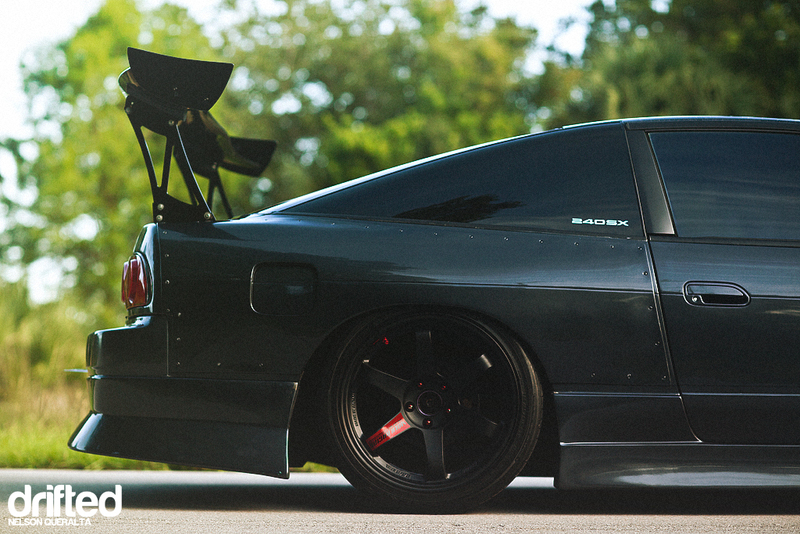 BN Sports plus Big Wing equals WIN. Always. Personally, I don’t have a problem with replica kits if you plan on driving the car hard; bumpers will get destroyed on aggressive entries and exiting dirt drops, especially with the low ride height that the Stance GR+ coils provide. 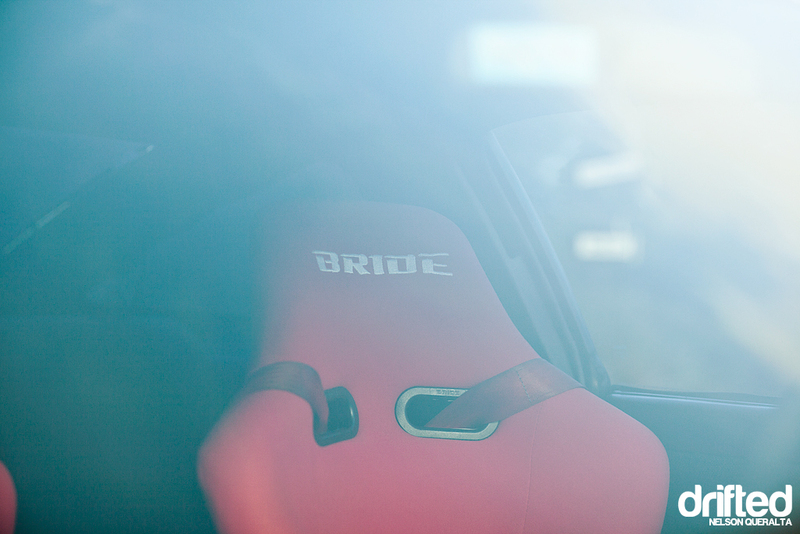 Interior is strictly business; Bride Zeta 2 seats mated to Sparco harnesses. Perfect combination to keep you in place while sliding around corners. 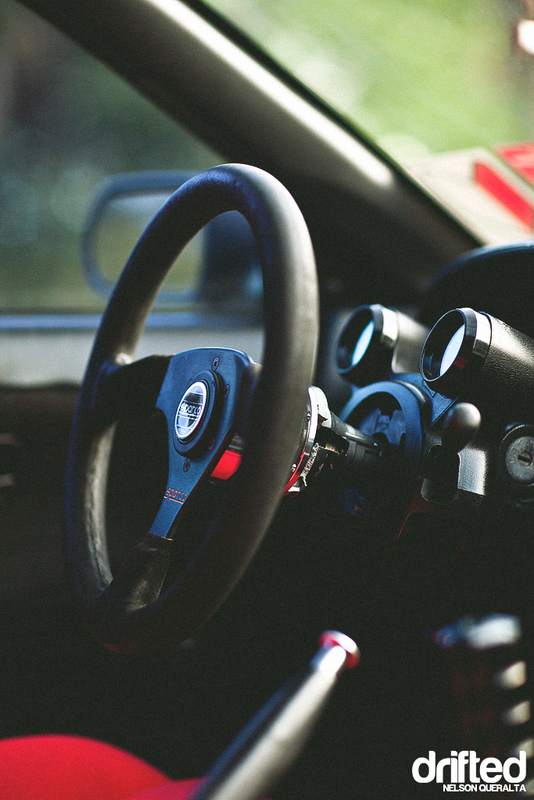 Along with a Sparco steering wheel and Powered by Max shift knob. Last but not least, the heart of this well built drift machine. Going to go off the mod list of this fully built SR. Reinforced bottom end for big boost, CP Pistons bored .20 over, Brian Crower rods, ACL bearings, ARP main studs and rod bolts. Up top, BC 272 int/exh cams, BC Ti valves/springs/retainers. 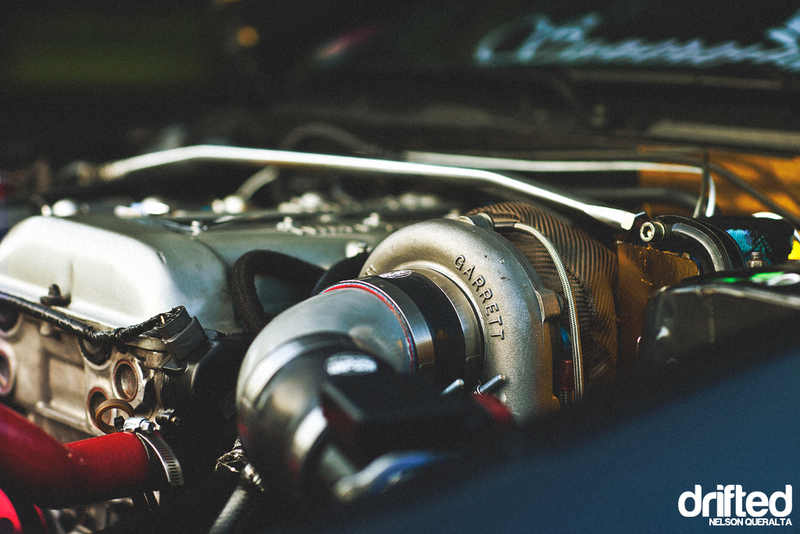 Let’s not forget the Garrett GT3076 turbo, TIAL wastegate and TIAL BOV. Tuned by RS Enthalpy, this motor makes 492 HP very comfortably, more than enough to shred the 265/35s out back. The car has yet to see a drift event since its completion earlier this year, but the owner is changing that very soon as he’ll be attending many of the coming events down here. Be sure to follow his crew on Instagram for a more day to day status of this beast. Florida has a lot of great cars, with its perfect weather all year and no federal emission laws, makes this a great spot for petrol-heads. With that said, I’ll be brining you guys more coverage from the Sunshine State. 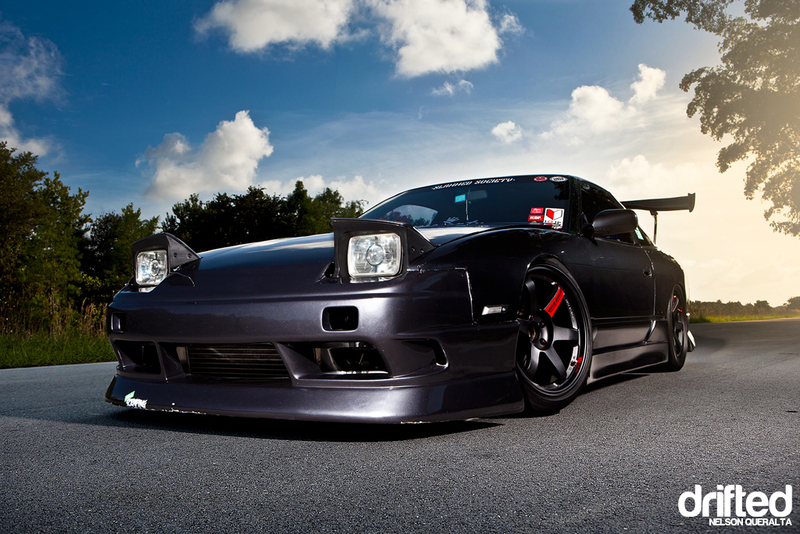 Here at Drifted we love a good s13, if you want to see some more cool nissan silvia or nissan 240sx photos and content then check out the 180sx Club!